Welcome back, readers! 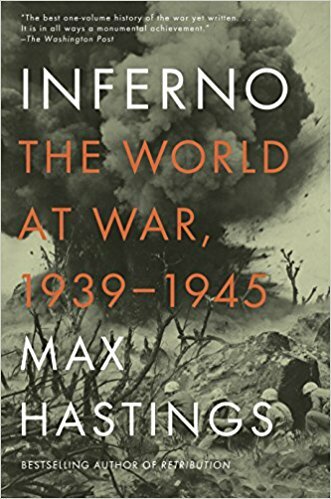 Whether you’re reading the full history book or just the notes version on the blog, it’s time to dive into Chapters 3 and 4 of Inferno: The World At War and discussion some more World War II history. As a reminder, the blog notes version are recommended as a resource for children interested in the subject; the book is written for a mature audience. Here are a few historical notes from the next two chapters in the read-along, and if you need to catch up, here are the notes from last week too! 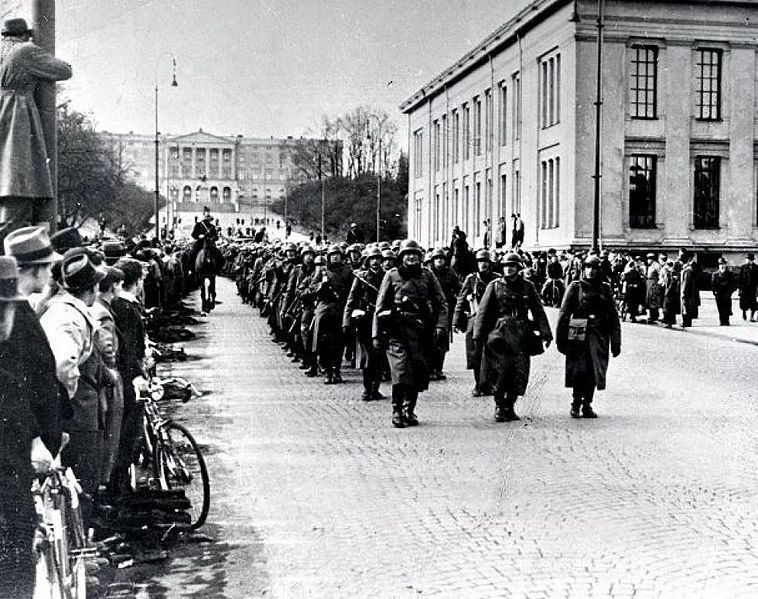 German troops landed in Norway on April 9, 1940 – catching that country by surprise. (Note: Denmark had also been taken over by the Germans). Britain and France responded half-heartedly, and the British eventually abandoned the Norwegians. Conquest of Norway gave Hitler a location for naval and air bases to attack Britain or Russia, but throughout the war, he kept thousands of troops in this Scandinavian region instead of using them elsewhere. Battle casualties from the conquest of Norway totaled: Germans, 5,296. British 4,500 (mostly navy). French/Polish exiles, 530. Norway, 1,800. On May 10, 1940, German units began their assaults on Holland, Belgium, and France. The defensive line along the Meuse broke and the Germans established bridgeheads to cross the river; fighting raged in the area for a few days. French commanders seemed live in a fantasy world that they could counter-attack and drive back the Germans. Opposition battles were fought, but ultimately did little to slow the German advance. 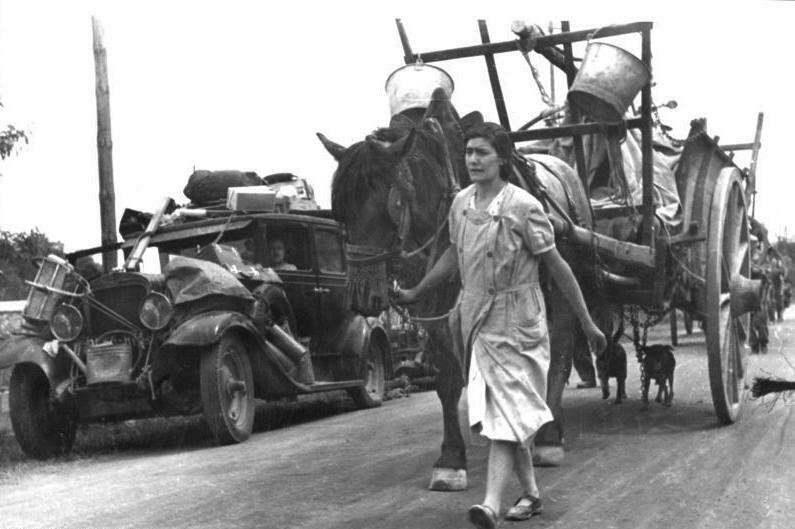 Thousands of refugees fled, trying to outpace the German troops. 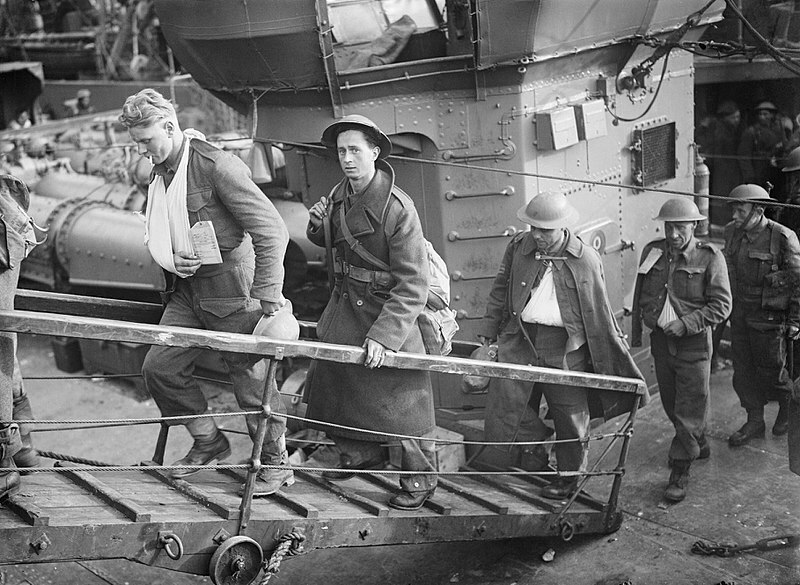 Trapped at Dunkirk, British Divisions and French units were rescued by about 900 British navy ships and civilian small boats. Thousands survived to fight another day, but the lost of equipment set back the Allies. Germans continued the conquest of France, encountering some units who made determined stands. On June 22, France signed an armistice with Germany. The invasion and battles in the Low Counties and France produced large scale casualties: 43,000 Germans, 50,000 French, and 11,000 British died. Thousands more were wounded or prisoners. The Nazis paused and did not concentrate full, coordinated attacks on Britain; the Luftwaffe (German air corps) command had conflicting ideas about how the attacks should proceed. Air attacks actually gave Britain the best possible chance to hold off the Germans and build morale and support for the war. The Battle of Britain began in July 1940. 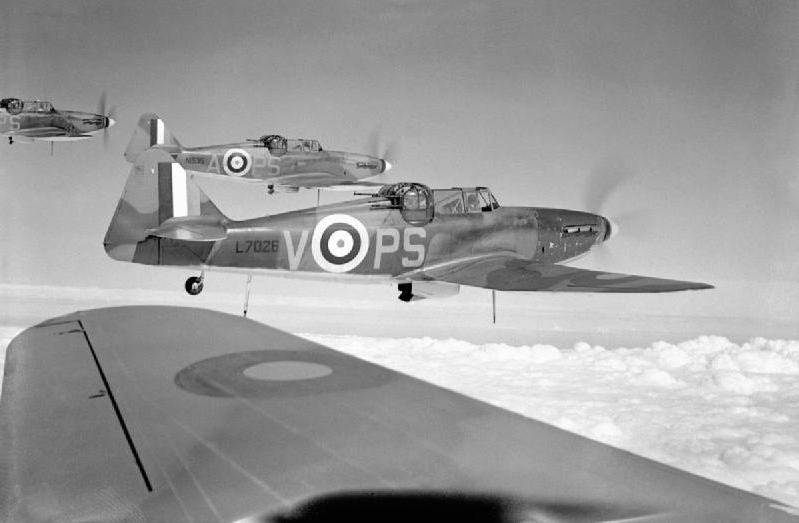 Initially, the Germans attacked British airfields; massive waves of fighter planes (sometimes 1,000 planes in the sky) tried to destroy the ground targets, but were fought off by Royal Air Force (RAF) pilots. During Battle of Britain, the Luftwaffe took more casualties and German industry could not replace downed planes the way British manufacture could. In the autumn of 1940, the Luftwaffe switched plans, easing the attacks on British air fields and bombing large metropolitan centers; these night attacks were more difficult for the RAF to counter, but took the pressure off the air corps, allowing them to recover and rebuild. During the Battle of Britain, the Luftwaffe lost 2,698 pilots and airmen while Britain lost 544 from the Fighter Command, and Bomber Command casualties were around 1,000. 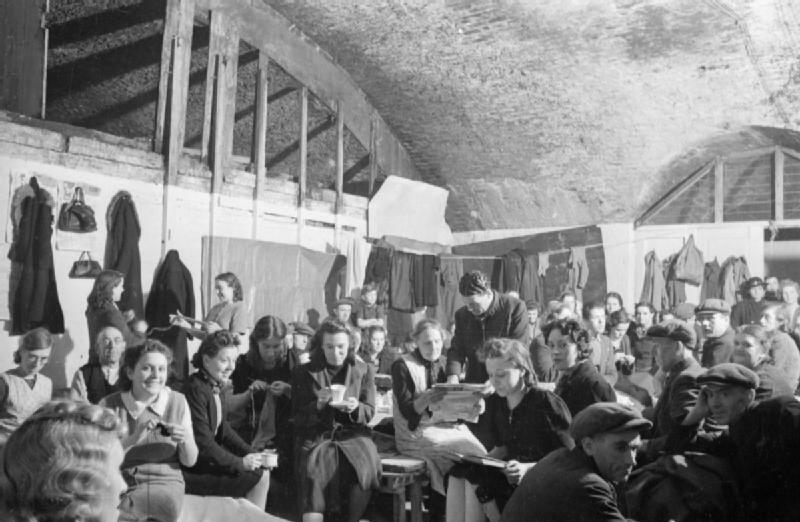 City bombing brought the war to the homes and streets of Britain; civilians evacuated to the country or crowded into underground air raid shelters. Approximately 43,000 British citizens were killed and 139,000 wounded during the bombing “Blitz” of 1940-41. Hitler was distracted and didn’t concentrate on the Battle of Britain, already planning an invasion of the Soviet Union (Russia). I thought the discussion in Chapter 3 about the armies and strategy was particularly interesting. Nazi German had rebuilt an army in the interwar years, and Hitler and his generals developed a plan to use that army in large scale attacks or invasions. It wasn’t the best trained, best led, or best equipped army (I was surprised to learn about the reserve-type units used in the European invasion), but the German military wielded their force large scale, not piecemeal. The allied nations at this point in the war had large armies, but didn’t seem to be able to coordinate large scale, continental defense or counterattacks. The perspective that empire wars and regional conflicts may have stunted the British development of large sweeping planning was an interesting point. Battle of Britain is one of the most fascinating conflicts of World War II to me. I thought that chapter was really well balanced, and it always amazes me how the British used advancing technology to gain an advantage. Fascinating details about their radio systems! What quotes stood out to you in the chapters? What new ideas or considerations do you have after reading these chapters or the chapter notes? Leave a comment and let the “book club discussion” begin!